Kohler's Cream Donut ice cream! 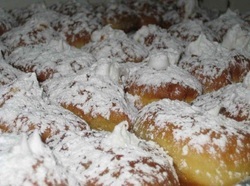 One of our Avalon flavors, "Kohler's Cream Donut", is a flavor combining the best of Avalon - our Sundae Best Homemade Ice Cream with Kohler's Bakery (2700 Dune Dr.) famous cream donuts. Come in for a taste...it is delicious! Kohler's cinnamon crumb ice cream! 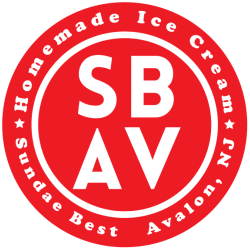 "Cinnamon Crumb", is a flavor combining the best of Avalon - our Sundae Best Homemade Ice Cream with Kohler's Bakery (2700 Dune Dr.) famous cinnamon crum . One of our Avalon flavor's, "It's All Good", inspired by our friends at It's All Good (2307 Dune Dr.) that combines Vanilla Ice Cream, Peanut Butter Ripple and Chocolate Covered Pretzels.